If you’ve been visiting this site for any extended period of time then you know that I love it when the automotive industry crosses over the film industry or more specifically, comic book movies. So, you’d better believe I was pretty hyped when I saw the press release that Lexus was teaming up with Marvel for the coming Black Panther movie. I had a feeling this was going to happen since I thought I spotted a Lexus in the latest Black Panther trailer; but its nice to get official confirmation. As is typically the case with these types of cross promotions, Lexus is using their Black Panther inspired build to promote the “Inspiration Series” 2018 LC Coupe. The “Inspiration Series” LC Coupe be a very limited (only 100 will be sold in the US) variant of the LC featuring some unique carbon fiber trim, 21 inch forged wheels, custom white interior, and a signature Barney’s sommelier set, which is essentially barware but like, elegant or something. Oh, there’s also one more thing, a custom blue exterior color inspired by the morpho butterfly. The crazy part about the color is that the paint itself does not actually contain any blue pigment. Instead the hue is achieved by a special technique called “Structural Blue” which uses nano-tech that causes the paint to only reflect blue light. The paint technique takes 8 months to complete which is probably another reason why this trim will be so limited. It sounds pretty cool but lets get into this Black Panther inspired Lexus shall we? From its outward appearance its easy to see the “Panther” inspiration in its design though the claws on the mirrors and the giant black panther mask on the hood are a bit much but over all I’m feeling it. No word if this exact car will be in the film or if it will merely be used as marketing material but either way I’m excited to see more of it. Naturally, a partnership with Marvel means that this car actually has a comic-book origin story which can be downloaded for free here. For a closer look at the “Inspiration Series” LC and the Black Panther LC, check out the pictures below. For more info, the official press release is below as well. Also, if you want a closer look at that “Structural Blue” paint technique, there is a video down there too. LOS ANGELES (Oct. 24, 2017) — When a Super Hero is your muse, the results can be amazing. 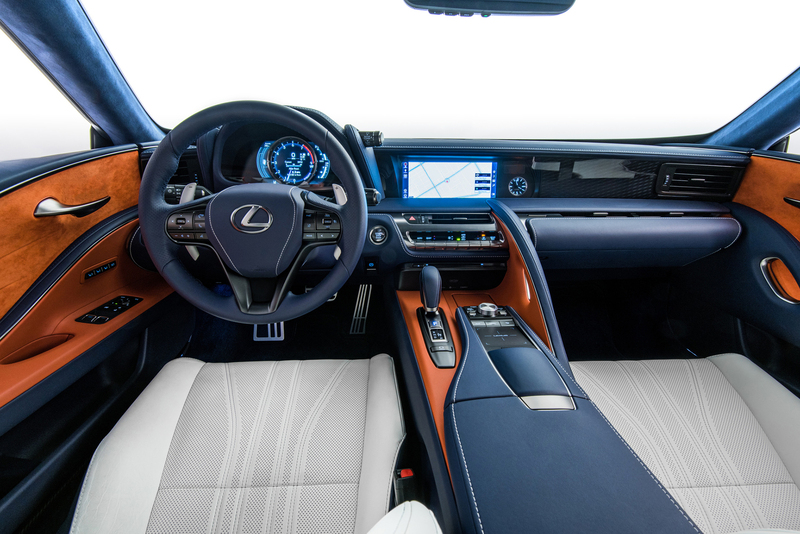 And Lexus is proving just that with two new vehicles inspired by its team-up with Marvel Studios’ “Black Panther”—a 2018 LC Inspiration Series production car and a concept coupe dubbed the Black Panther Inspired LC. 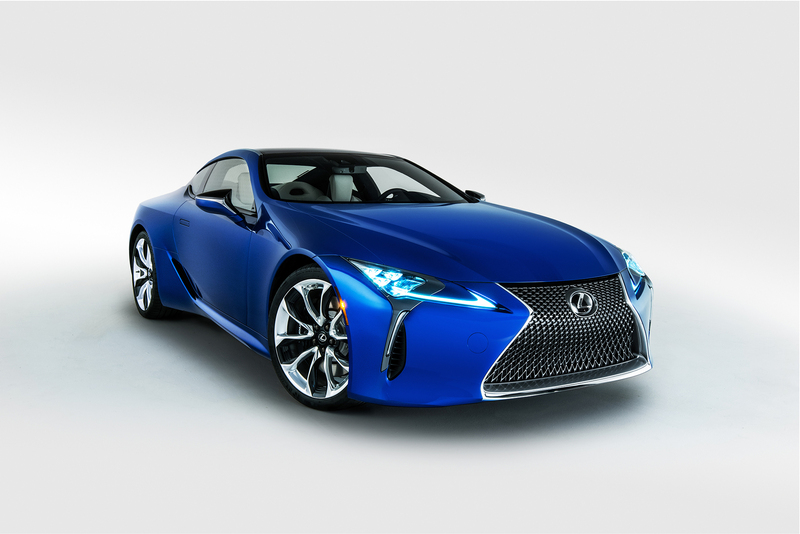 As previously announced, Lexus and Marvel have collaborated to pair the 2018 Lexus LC 500 with Marvel’s dynamic Black Panther character in the highly anticipated film, Marvel Studios’ “Black Panther,” in U.S. theaters February 16, 2018. The first vehicle in Lexus’ Inspiration Series is a limited-edition 2018 Lexus LC, celebrating the attributes of sophistication, performance and innovation embodied by the Black Panther character, King T’Challa, and his home country of Wakanda. 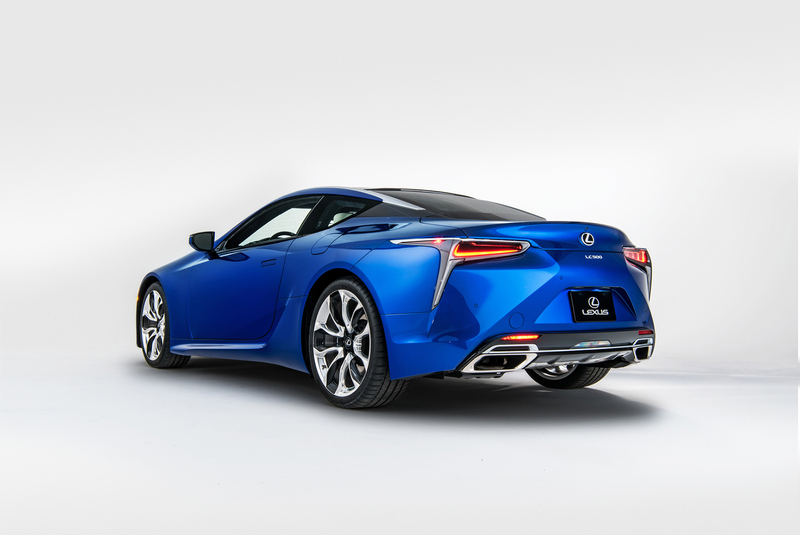 With only 100 slated to be sold in the U.S., the Lexus LC Inspiration Series features a first-of-its-kind paint technique called Structural Blue. Inspired by the morpho butterfly, the paint is developed through an eight-month process. While the paint contains no actual blue pigment, its unique construction reflects blue light and highlights the vehicle’s dynamic design and features to produce a compelling motion effect even when parked. A more in-depth look at the technology can be found here. The Inspiration Series LC will be available in Spring 2018 and pricing will be announced closer to that time. 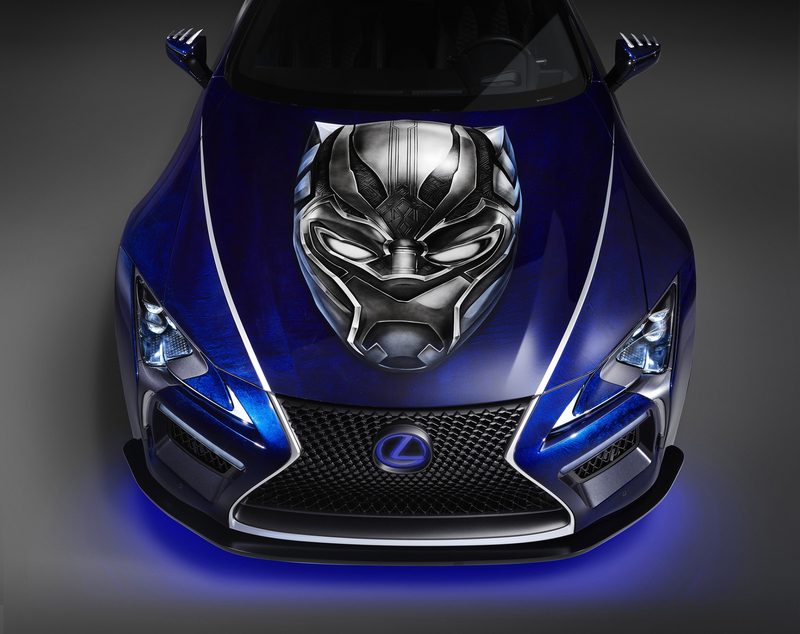 Lexus and Marvel Custom Solutions also released the first four chapters of the graphic novel, “Black Panther: Soul of a Machine.” Envisioned by head writer Fabian Nicieza, the story teams Black Panther with the ultimate machine—the LC 500—as they work together to thwart Machinesmith’s villainous plans to infiltrate Wakanda’s systems. Contributors to the novel include Geoffrey Thorne and Chuck Brown. The full novel will be released in Dec. 2017. To read the first four chapters, visit https://marvel.com/lexuslc. 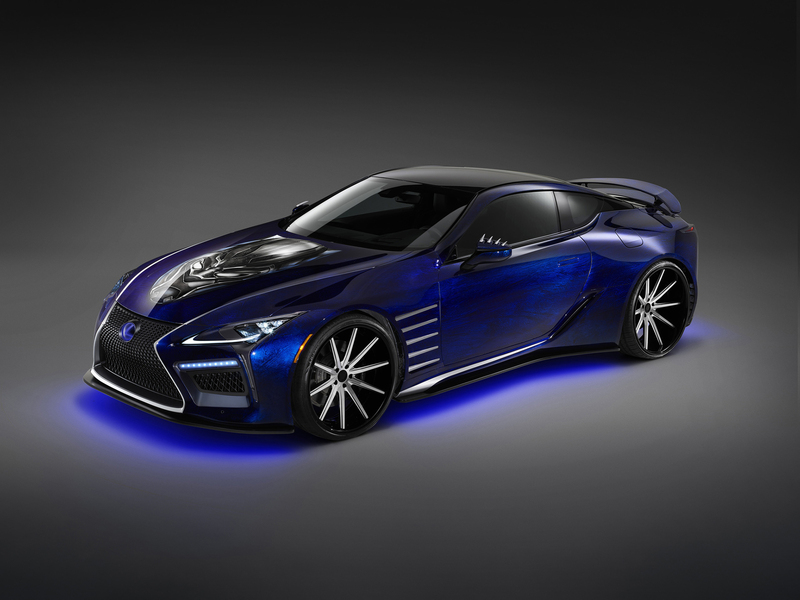 See photos of the Inspiration Series LC and Black Panther Inspired LC on LexusNewsroom.com. Both vehicles will be on display at the Lexus booth at the Specialty Equipment Market Association Show (SEMA) Central Hall Booth #21601 starting on Oct. 31, 2017. ← An Eagle Flew Over The USGP Because America!